Against all odds is a story of two people from different social milieu of life, totally unsuited for each other. But when cupid decides to cast its arrow, things get romantic, passionate and complicated. Sanjana is an intelligent, accomplished, girl from the small town, Kasauli. Being an interior designer, she lives in Delhi, where there is market for her kind of work. Abhimanyu, an angry young man, is a successful businessman who comes from a wealthy, globe-trotting family. They meet accidently, and he thinks she a money-grabber from the lower strata of the society, and she thinks he is a typical arrogant Delhite, who believes only in money and show-off of money. Abhimanyu’s character is resplendent with his uptight rich mother, who thinks no one is good enough for her son, least of all Sanjana. But as I said cupid had them on its scanner and after a few interesting twists, they realize, they are made for each other. I loved the gradual built-up of attraction and chemistry between Sanjana and Abhimanyu, which sizzled. He doggedly pursues Sanjana, and as the story progresses he comes across as a very nice human being. 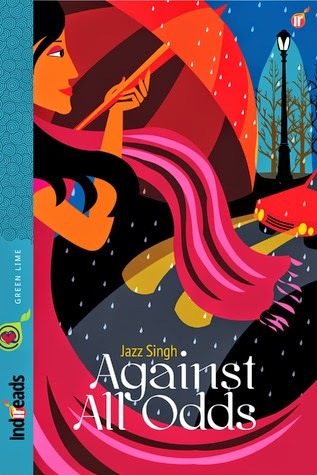 Jazz Singh has captured the difference between the social strata, through the characters bang-on. The supporting characters are well etched, though I would have loved to know more about Abhimanyu’s past and things from his point-of-view.